Visit and interact with him at his Facebook site. News February 2014: Walter's long-awaited new CD Myth America, featuring thirteen new songs, will be released on February 11, 2014. You can order it here on Amazon and read the lyrics here. 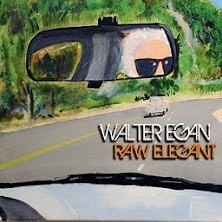 Walter's new CD Raw Elegant (on Spectra Records) is now available. The disc and downloads are available at popular sites like CD Universe, Google Music for Android, and Amazon. Walter was a guest today on Kat Pat's live Blog Talk Radio show, discussing his career and taking listener calls. The archived podcast can be listened to at this URL. "More coolness: as mentioned above, pop star Walter Egan kindly allowed me use of the lyrics for one of his songs, and the use of his persona, in one of the chapters of the title novella NOCTURNAL EMISSIONS (the chapter Waltered States, in which Walter serves as protagonist and goes head-to-head with the above-mentioned foul-mouthed marionette from another dimension)." Update /article at Examiner.com on "Renaissance man" Walter Egan & his list of Top Ten Films of a Scary Nature. The Examiner article includes news of Walter's appearance at ROCK CON: The National Rock & Roll Celebrity Show (Sheraton Meadowlands Hotel and Conference Center East Rutherford, NJ July 30-August 1, 2010) as one of the special guests. Ditch your shoes, grab a bean bag, and join us for the Loft Sessions when we invite our favorite artists up to The Loft and ask them to create their ideal intimate musical session. As always at the Loft, the music is paramount so you'll hear everything from hit gems to adventurous covers, even the occasional choice insight, all at each artist's discretion. In the Loft Sessions, you meet the artists as they are. This week #177 with Walter Egan. NEWS: File this one under "Rock Star Becomes University Professor." This semester (Winter-Spring 2008) at Georgetown University in Washington, D.C., Walter, a graduate of Georgetown, is teaching a twelve week long Music Industry Seminar Course. 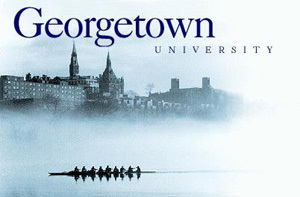 The course is proving to be very popular on campus - already filled up and with a long waiting list - and it's the subject of a January 18, 2008 feature article ("Georgetown Proves School Really Can Rock") by Erin Delmore in Georgetown's student newspaper, The Hoya. NEW: Walter's acclaimed album Walternative is now available for purchase, and for MP3 download, from CD Baby. Go to Walter Egan's page at CD Baby where you can also stream (for free listening) the entire CD. Welcome to the official Web site of Walter Egan. Walter is a musician, singer, composer, writer, artist, sculptor and general Renaissance man who is most widely known for his 1978 million-selling single record, "Magnet and Steel," featured on his album Not Shy (Columbia). Almost three decades later, Walter's signature song is a staple on the radio, and can also be heard in feature films and on television. 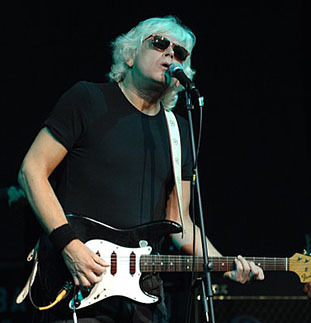 Meanwhile, he has continued to make original music as both a prolific individual artist, with a total of eight solo CDs to his credit, and as a member of performing and recording bands including the Malibooz and the Brooklyn Cowboys. 2002 was a year of noteworthy accomplishments for this enduring talent with the release of three new CDs: Apocalypso Now (Gaff Music), which showcases some of Walter's latest songs; Beach Access with the Malibooz (Pier Group Records), a classic surf music band that helped to pioneer the genre; and Dodging Bullets with the Brooklyn Cowboys (Leaps Recordings). The Meaning of Live, a compilation of Walter's live performances from 1978, has just been released, along with a CD that features all of the songs from Walter's first two Columbia LPs, Fundamental Roll and Not Shy. For information on how to obtain copies of the new CDs, please see below. Today, Walter Egan continues to write, produce, and record new music (check out his two new songs in the MP3 downloads section below) and perform live around Nashville and nationally. WalterEgan.com is Walter's official site. It is evolving and expanding, and includes announcements of his upcoming personal appearances. 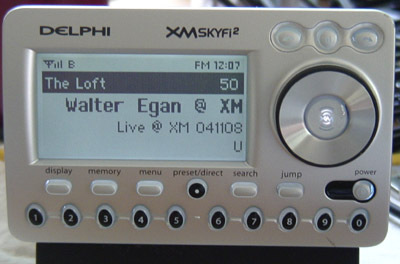 Below are some photos of Walter from the podcast (August 11, 2006). Walter's first two Columbia albums, Fundamental Roll (1977) and Not Shy (1978), are now available on one double CD. The CD contains all of the songs from both albums, including Walter's million-selling single record "Magnet and Steel," as well as other noteworthy hits and songs including "Hot Summer Nights," "Only the Lucky," "Tunnel of Love," and more. . .21 great tracks in all. Included with the double CD is the original art work for both albums and new liner notes by Walter and photos. 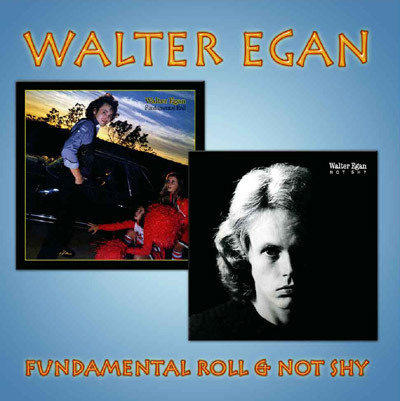 These are the albums that established Walter Egan as an international recording artist and songwriter. They are also of historical note because of the fundamental role played by Lindsey Buckingham, who performed on and co-produced the albums, and Stevie Nicks and other members of the group Fleetwood Mac, at the time the number one best selling rock band in the world. Please check Amazon.com for availability of the Fundamental Roll/Not Shy CD. 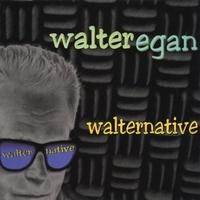 For availability of other Walter Egan CDs and mp3 song downloads, please visit the Amazon.com pages here and here. Another classic double length CD has been released. 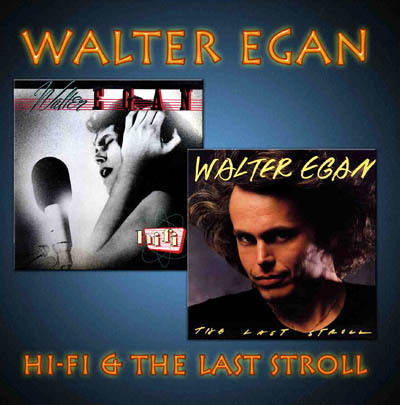 . . Walter's third and fourth Columbia albums, Hi-Fi (1979) and The Last Stroll (1980), for the first time on CD! Both albums, featuring complete tracks, with original cover art and new liner notes, are now available on one double CD. To order the CD of Hi-Fi and The Last Stroll, send $25 (cash or money order payable to "Walter Egan") and mail to Walternative Recordings, 912 Rebel Circle, Franklin, TN 37064. Please indicate if you would like your CD autographed. 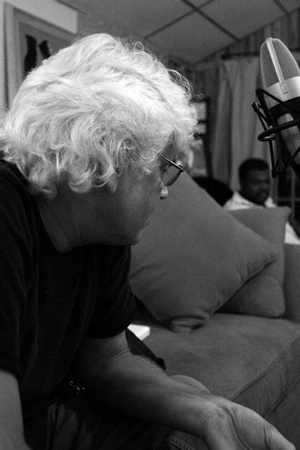 Walter Egan continues to write and record impressive new songs. Two examples from his privately circulated Demonstration Recordings CD, Love In A Time Of War and It's Over, are below. As with all of the mp3 files here, just click on the title of each one to download a copy for your personal use. Love In A Time Of War by Walter Egan (mp3 192 kbps, 3:31, file size 4.8 mb). It's Over by Walter Egan (mp3 192 kbps, 4:24, file size 6.05 mb). Free by Walter Egan (mp3 192 kbps, 3:17, file size 4.5 mb). Love Me Tonight by Walter Egan (mp 3 192 kbps, 2:44, 3.75 mb). About the two new songs above, Walter writes: "The tracks were recorded [in the summer of 2005] at Steve Allen's Blue Planet studio, with Steve engineering and sharing production with me. Ronnie Krasinski is on the drums and Ed Cain plays the bass. I do pretty much all the rest. Additional vocals on Free are from Jamie Kyle." The songs are copyright © 2005 by Walter Lindsay Egan Music. Full Moon Fire by Walter Egan (mp3 192 kbps, 3:40, file size 5.2 kb). The first single from Walter's 1983 album for MCA/Backstreet Records, Wild Exhibitions. The song charted in Billboard magazine's national top 40 in the spring of 1983. Lovin' You by Walter Egan (mp3 128 kbps, 5:17, file size 5 mb). A rare outtake from Walter's first Columbia album Fundamental Roll (1977), the album that featured the first collaboration among Walter and Stevie Nicks and Lindsey Buckingham of Fleetwood Mac. An audiocassette copy of a rough mix of the studio recording of Lovin' You was recently discovered in the archives of Peter Barry Chowka, who digitally restored it. An mp3 of the original version of Walter Egan's 1978 mega-hit Magnet and Steel can be downloaded from a fan's site at this URL. And there is also this very special song available for download. . .
Penelope Lane by Sageworth & Drums (mp3 192 kbps, 3:13, file size 4.4 mb). From 1968 to 1973, Walter Egan's band was Sageworth & Drums (a.k.a. Sageworth). It evolved from a group of Georgetown University undergraduate students playing weekend mixers and parties to a tight, professional headlining act with a reputation as one of the best and most original bands in the greater Washington, D.C. area. In late 1971, Sageworth relocated to Boston and spent the next two years performing around the Northeast before finally breaking up, at which point Walter moved to Los Angeles and began his career as a solo artist. On the evening of June 30, 1969 Sageworth & Drums played at a high profile, society arts benefit for the Washington Theatre Club at the Door Store on the Waterfront in Georgetown, the vibrant community in Northwest Washington, D.C. Sageworth's two hour long performance consisted of both original numbers, all of them written by Walter, and covers of folk-rock and rock songs of the period (by artists including the Byrds, Buffalo Springfield, Jefferson Airplane, and Chuck Berry). The entire gig was recorded and the original ambient stereo quarter track tape was recently restored and digitized by Peter Barry Chowka, the lead singer in Sageworth and Drums in the summer of '69. To read the Washington Post article published on July 1, 1969 about the Door Store benefit, click here. To see a photo of Sageworth & Drums in the summer of 1969, click here. On Saturday, March 22, 2008, Walter will be playing a house concert at Russ and Julie's home in Oak Park, California. 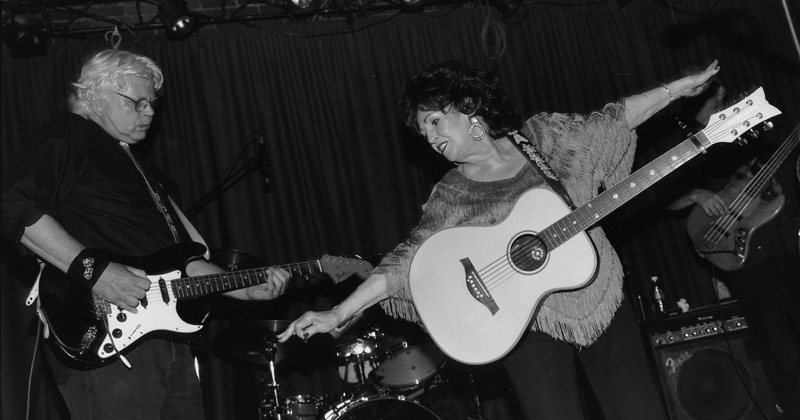 The venue, a casual, comfortable, intimate private home setting known for memorable house concerts featuring nationally recognized performing artists, is in southeast Ventura County about 45 miles northwest of Los Angeles, near the cities of Agoura Hills, Westlake Villlage, and Thousand Oaks. If you're within driving distance, this is an unparalleled opportunity to hear and meet Walter. The event includes a pot luck dessert buffet with coffee and soft drinks. Details and reservations at Russ and Julie's House Concerts' site. If the house concert concept is new to you, you can read all about it here. Known worldwide to music lovers (and crossword puzzle enthusiasts) as "Mr. Magnet and Steel," Walter Egan has come home to his Alma Mater with an exhibit of his paintings. 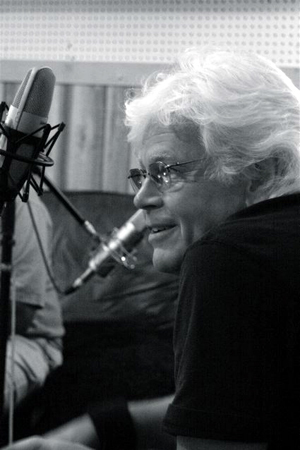 As one of Georgetown's first Art majors (College 1970), Egan went on to make his name in the popular music business as the composer of "Hearts On Fire" (recorded by Gram Parsons and Emmylou Harris) and the composer and performer of his own million-selling Billboard Top Ten hit, "Magnet and Steel" (1978). 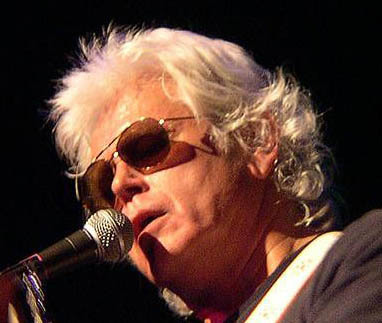 He has released eight solo CDs to date and has played with artists including Linda Ronstadt, Jackson Browne, Fleetwood Mac, the Eagles, Spirit, Wanda Jackson, Randy and the Rainbows, Burrito Deluxe, the Brooklyn Cowboys, the Malibooz, and his college band Sageworth. Now Egan has returned to Georgetown as an adjunct professor leading the Music Industry Seminar for the Spring 2008 semester. 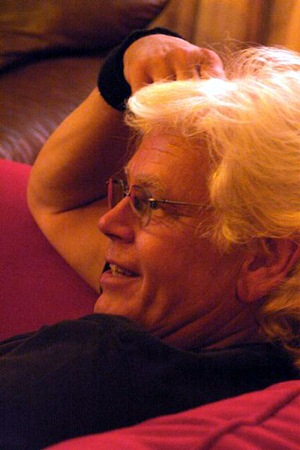 A sculpture major at Georgetown, Egan has had a parallel career in the arts, concentrating on printmaking and painting, during his time in the music business. His exhibit will run until the end of April in the downstairs gallery at the Davis Center on the GU campus. Admission is free. In addition, on April 4th, Egan will perform a solo concert of original material at McNeir Hall on the GU campus as part of the ongoing Friday Concert series. The free concert begins at 1 PM.